Welcome back to the start of the new year. It is lovely to see everyone again and hear the children’s news. Welcome particularly to the new starters in Foundation Stage and pupils who have joined us across the school in various classes. Our new staff are already feeling like experienced members of the team, blending well with the mix and bringing new vibrancy and ideas to the fold. It has been a lovely start to the year and we are all looking forward to the excitement ahead. You will notice that over the holidays two new windows have been replaced in the Annex block, the two classrooms have been painted and the old library area cleared. We will continue the updating of this building over the coming couple of years – there is much to do! The doors outside Oak and Hornbeam have had the layers of peeling paint removed and new coats applied, smartening up the outside. Willow class has also had a new coat of paint. 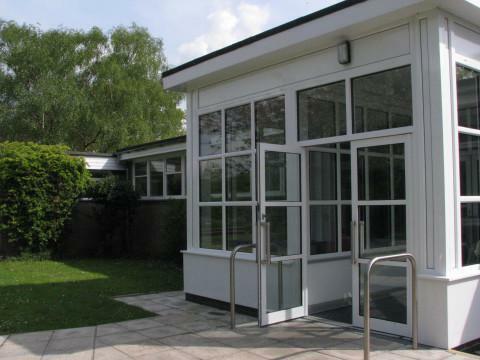 Many new display boards have been put up in Oak, Hornbeam, Beech and Ash classes, the railings have been removed from outside the corner of the hall to make room for access when our new door arrives and this weekend various dips in the playground are due to be filled. Wednesday 10th September – Meet the Teacher. 6.30 – 7.30pm. By request we have brought the time forward to suit the range of children’s bedtimes – we hope at least one parent from each family will be able to attend. This is a drop-in session where you will have the opportunity to ask the teacher any questions about the organization of the year ahead, homework expectations, timetabling etc. and collect your class newsletter for the term. Wednesday 17th September – SEN briefing – 6.30 start, in the hall. For any parent who would like to know more about the SEN reforms and how this is being implemented for the children at Woodcote School. Parent’s Evenings – 21st and 22nd of October. 3.30 – 6.30. We will let you know how to book an appointment nearer the time. KS1 Nativity dates are 6.00pm on the 9th of December and 2.00pm on the 11th December. We expect the duration to be about an hour. Parents will be able to book places for one of these performances and young children are asked to attend the matinee and not the evening performance please. Year 4 will be starting their clarinet lessons in the next week. Our Harvest Festival this year we hope to hold in St Leonard’s Church. This will be around the second or third week of October. Rev. Smith is currently on holiday, we will confirm the date as soon as we can. As from next week, KS2 children (Ash, Rowan, Maple and Willow) are asked to enter school as soon as they are on site after 8.40. Early work will be set in the classroom and these children are welcome through the door immediately. Parents can be assured that children will not be allowed to exit the building once they have arrived and therefore, if you need to leave early, do not worry. KS2 teachers will still be available at the entrances if you need to speak with them. At this stage of the year, KS1 children will still be met on the playground by the teachers. I hope you all have a great term and look forward to meeting you all at some point during the coming weeks.